A resume is a communication tool. Job seekers use it to list their skills and experience. Employers use resumes to choose who to bring in for an interview. Resumes are not a list of what you did. They list what you can do. When describing work experience, start with an action verb. Do not say “responsible for.” Good resumes use skill language. List the common skills and experience that employer’s want. Again, use your occupational research to find out what employers want. A chronological resume lists your work history starting with the most recent. This is the most common type. It is used by people who are staying in an occupation. A functional resume groups your skills and experience by skill areas. These skill areas are called “functions.” It is used mostly by people who do not have any work history. A combination resume combines the other two formats. It groups your skills by function. It also lists a work history. It is used by people who are changing occupations or those returning to the workforce after a long break. Contact information tells the employer how to reach you. It is very important for setting up interviews. Most people list their city, state, email, LinkedIn address and phone number. 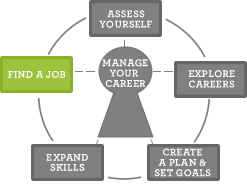 Start your resume with your career objective. Objectives should state the job applying for with which company and why they should want to hire you. A summary statement shows why you are a good fit for your target. You can highlight your skills and traits that make you successful. Education lists your degrees and classes. Include licenses or certifications. Your work experience describes where you worked. It also describes your skills and accomplishments at each of your previous jobs. Your accomplishments and awards on the job or in school. Also include money that you earned or saved past companies, number of customers you helped, or other outcomes that help a business run well. Looking at a chronological and functional resume sample. Updating your cover letter each time you apply for a job.